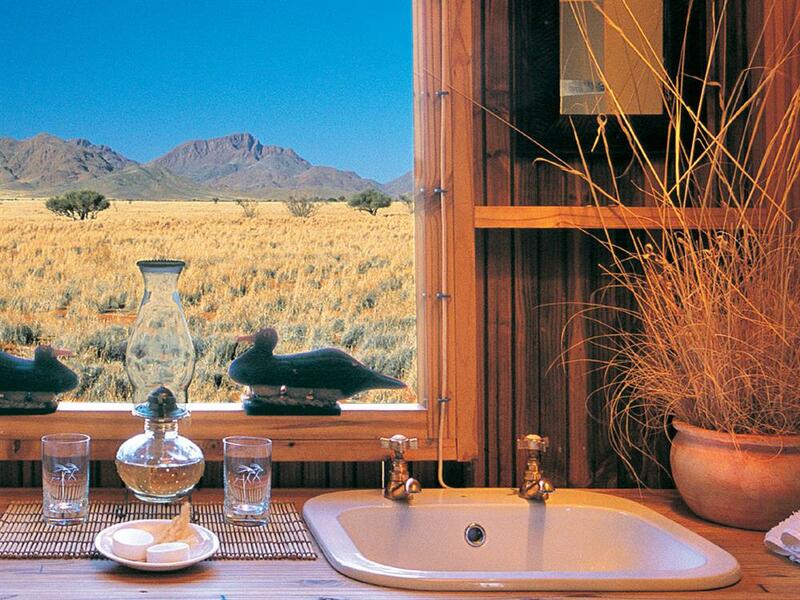 Wolwedans nestles into the dunes and is set against a backdrop of extraordinary natural beauty. 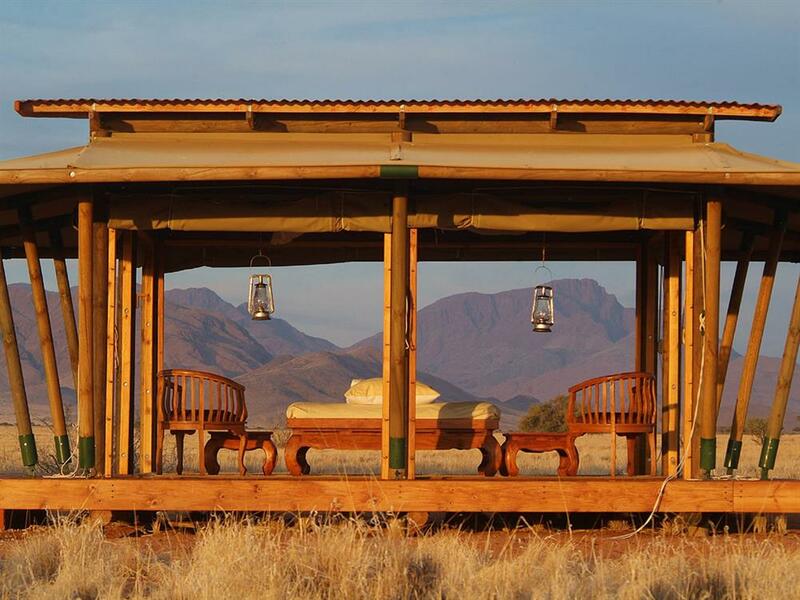 Located in the heart of NamibRand Nature Reserve, Wolwedans camps provide the perfect base from which to explore the vast stretches of undisturbed nature. 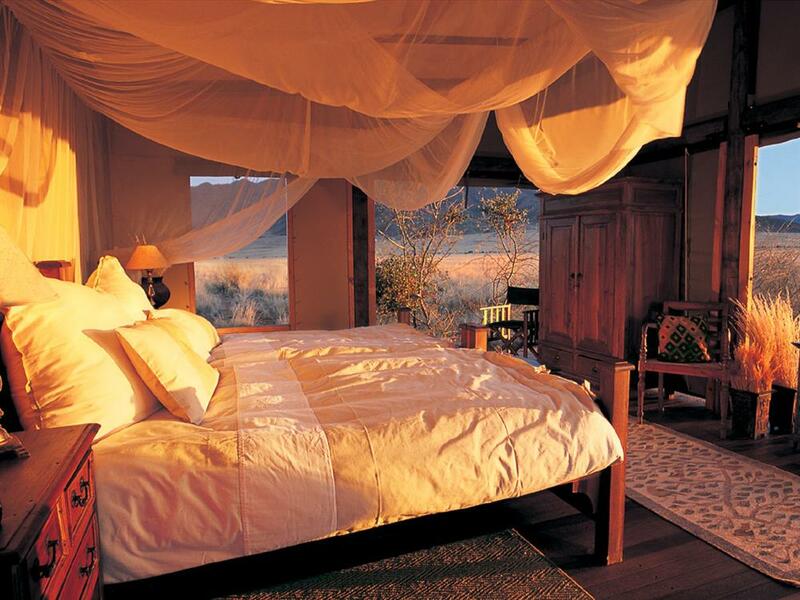 Situated in a quiet and idyllic valley, Wolwedans Private Camp caters for four guests exclusively. It is the perfect getaway for Honeymooners or individuals seeking uncompromising privacy and solitude. 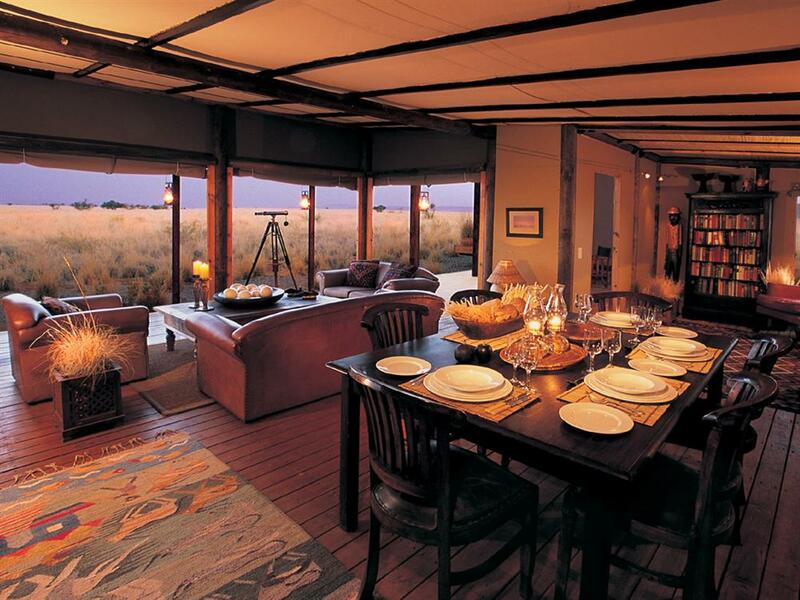 Private Camp offers two spacious en-suite bedrooms, a 'Sala' for siestas, various decks and the central lounge, combining a study, living room, a dining area and a fully equipped kitchen. Its open-plan design allows uninterrupted views of the surrounding nature. Private Camp is designed for those who enjoy the peace that utter silence can afford. Get away for a day or two and revel in the luxury of reading, reflecting or taking walks in one of the most enchanting landscapes in Africa. 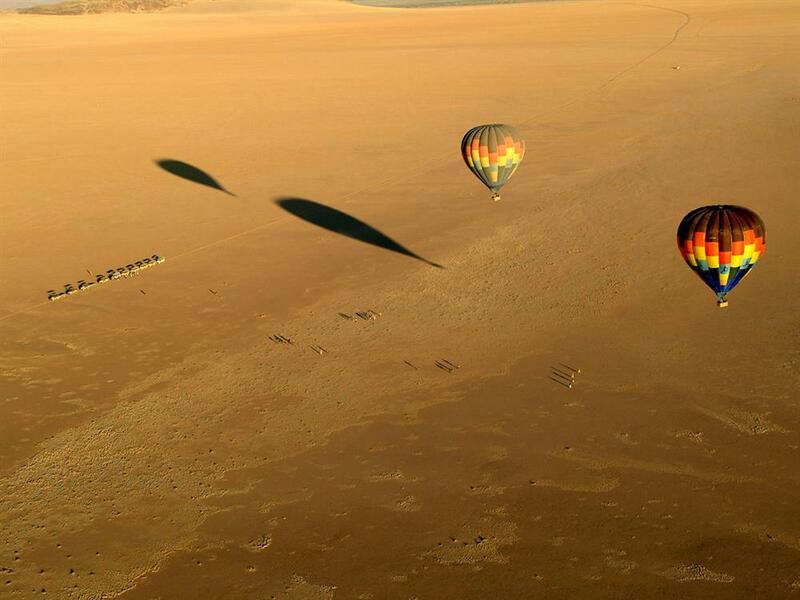 Guided activities such as scenic drives, scenic flights, hot-air ballooning and nature walks can be arranged either privately for you (at an extra charge) or be shared with other lodge or camp guests. Accompanied by experienced guides, visitors are introduced to the many facets of the NamibRand Nature Reserve's desert habitat with its diverse fauna and flora - on foot, by vehicle or from the air. The classic programme - that is if you stay for two nights - would entail an afternoon drive on the day of arrival, followed by a full day-safari with picnic lunch en-route. Alternatively you can join one or two half-day excursions, perfect if you feel like lazing around for an afternoon, simply admiring the views and colours which change by the hour. Four distinct habitats are found on the Reserve - dunes and sandy plains, inselbergs and mountains, gravel plains, and sand and gravel plains. 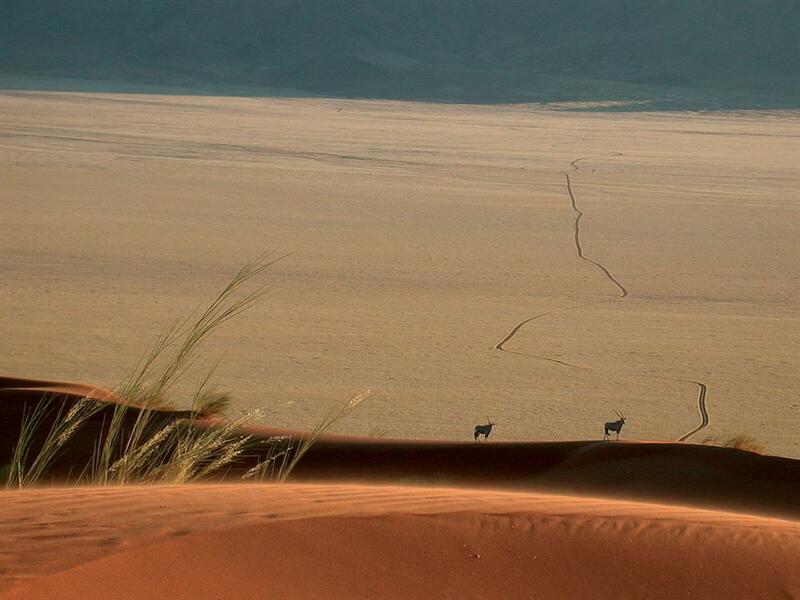 The predominant large mammals on the Reserve are oryx gazelle and springbok. Other large mammals include kudu, Hartman's and Burchell's zebra, giraffe, klipspringer, steenbok, hartebeest and baboon. Predators include leopard, spotted and brown hyena, black-backed jackal, aardwolf, bat-eared fox, Cape fox, African wildcat, caracal and genet. To date 100 bird species have been identified, while work is still in progress on the inventory of rodents, reptiles, amphibians, invertebrates and plants.